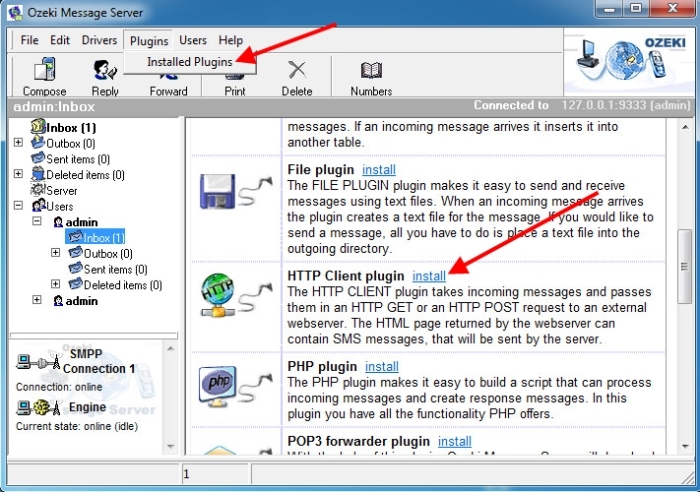 To install the HTTP Client plugin, please go to the Plugins menu and click on the Installed Plugins menu item.In the "Available plugins for installation" window click on the HTTP Client plugin install link and the installation process will start (Figure 2 ). 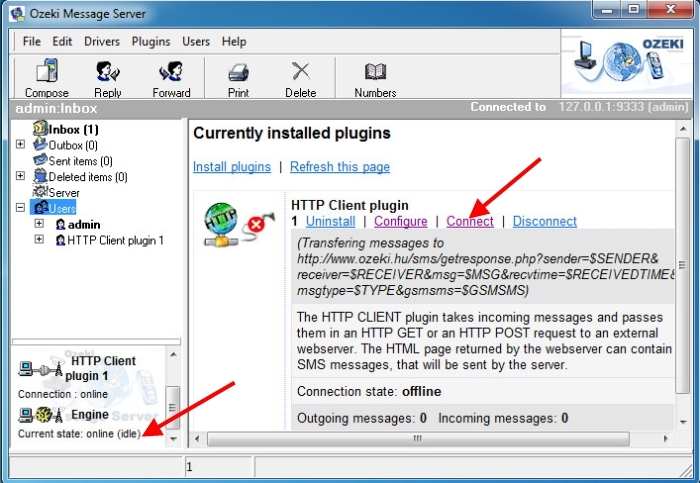 After installation you'll see the HTTP Client plugin 1 appearing on the list of plugins in the "Currently installed plugins" screen. On this form you can start the configuration by clicking on the Configure link. After this HTTP Client plugin 1 configuration screen pops up. 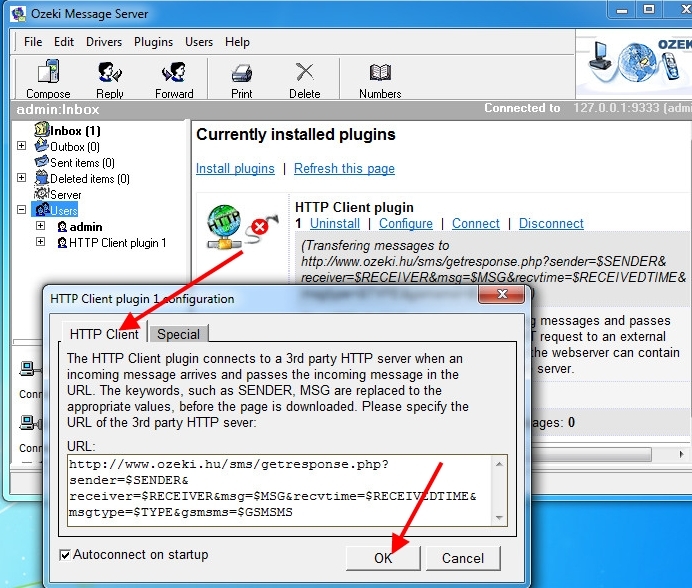 In the HTTP Client tab, you have to specify the URL of the HTTP server in the text box (Figure 3 ). Important Note: After you have tested the functinality, it is strongly recommended to modify the URL to point to your service instead of the demo application a http://www.ozeki.hu! 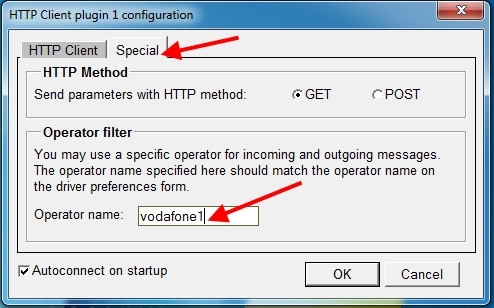 In the Special tab you have to specify Send parameters and operator name (Figure 4). If you have finished a necessary configuration, you click on Connect link (Figure 5).